Get Ready for a Re-Phil at 2nd annual Coffee & Tea Festival in Philly! During a summer visit to his sweltering hometown in Southern California, Daniel Dengrove was looking for a way to beat the heat. “The ice pops I enjoyed as a kid tasted too…artificial” he recalls, “So I started looking for more high-end and natural ones.” Daniel did not imagine that his search would turn up blank. Rather than accept defeat, however, he reached out to his sister Rebecca, who had earned a Masters in Food Science from Rutgers University. He proposed that the two create their own line of delicious all-natural ice pops. “I thought the idea was fabulous,” Rebecca recalls. “I started experimenting immediately in my apartment in New York.” Eventually, the two rented space in an industrial kitchen at Rutgers. After multiple iterations, they settled on the combination of a brewed base and natural ingredients for flavor and health benefits. The siblings added a rolling freezer cart and with that Brewla Bars were born. In 2012, after two successful summers selling Brewla Bars at farmers’ markets throughout New York City the sibling duo decided to scale their operation. The two worked together to design packaging and scale manufacturing, culminating with buyer meetings and the first retail orders. In 2013, Brewla went on to win Samuel Adam’s pitch contest and competed for the title of the Wall Street Journal’s Startup of the Year. Brewla Bars are now available in select regions across the country and are set to have another record sales year. Brewla, known for its line of all-natural ice pops called Brewla Bars, was thrilled to launch its two newest flavors at this year’s Summer Fancy Food Show held earlier this month in NYC. Although all Brewla Bars boast a unique benefit, The Lifeguard and The Luau will be the first two in the line without added sugar. Each Brewla Bar combines a popular flavor and a brewed base. The Lifeguard blends the flavor of strawberries with the floral aromatics of hibiscus tea. Boosted with zinc and vitamin C, this flavor contributes to a healthy immunity. The Lifeguard contains only 20 calories and 3 grams of sugar. The Luau combines tropical fruit flavors with a white tea base. Electrolytes are added to support hydration. The Luau contains only 30 calories and 5 grams of sugar. Other flavors include the brand’s bestseller, The Hero (Cherry Pomegranate + Red Tea), The Doctor (Craft Brewed Root Beer Float), and The Lullaby (Peach Ginger + White Tea). For more information, including a list of store locations, visit http://www.brewlabars.com. Harmon Brewing Company is launching a new line of craft-brewed coffee drinks to the Tacoma area. Hop Coffee™ is a fusion of the Northwest’s twin favorites: coffee and craft beer. Melina Eshinski, a professional chef, was hired to handle the special alchemy between coffee and beer. “I can’t reveal all the trade secrets, but for example I mixed our Pale Ale with an all-natural vanilla extract and that is going to make a fantastic Macchiato,” said Eshinski. “The Puget Sound Porter seems a natural fit with any mocha drink.” The initial batch of beer syrups will become the basis for a series of signature creations offered by Hop Coffee the new shop located within the Harmon Tap Room. Presenting coffee in such a manner was the brainchild of co-owner Carole Ford. “About 18 months ago, I threw out an idea to pair coffee and beer reductions,“ Ford said. We kept it under wraps until about three months ago when we started playing around with the reductions. Everyone who tasted the syrups was floored by how good they were.” Ford and her son Riley then located a local specialty roaster, Bluebeard Coffee Roasters with as much passion for coffee as the Harmon has for beer. The local collaboration marks another in a long line of efforts for the Harmon, who recently worked with the Tacoma Art Museum on a special release Dr. Ink This. Earlier this year, the Harmon worked with the Institute for Environmental Research and Education and became one of five U.S. brewers qualified under a science-based, life-cycle brewing model. Hop Coffee is going to be a full-service coffee stand offering the complete espresso experience in addition to the twin brewed signature series. The baristas (beeristas?) will be trained in proper coffee parlance and preparation. 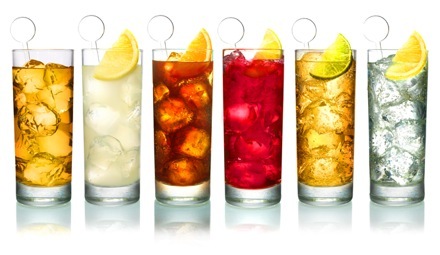 The North American Tea Championship (NATC) recently named the 25 best, premium iced teas in key categories. The NATC is the only independent and professionally-judged tea competition in North America and the premier platform for showcasing quality teas. 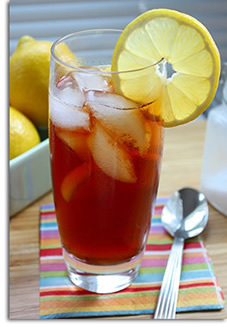 Visit TeaChampionship.com for a complete list of first, second and third-place winners in the NATC Iced Tea Class. The North American Tea Championship is currently evaluating spring teas. Oak City Coffee is teaming up with Wake Enterprises in Raleigh, NC and have reached their kickstarter funding goal for a project to create a new product, purchase equipment, and provide permanent meaningful work to adults in their community with autism and other developmental disabilities. “The purpose of the project is to create a marketable product that can be manufactured by persons with these challenges. Our market will be to Raleigh businesses as the product of choice for their office coffee,” as stated in the kickstarter prospectus. The product itself is the single serve coffee pod commonly known as K-cups. But the folks at Oak City Coffee are calling theirs Care Cups because they believe this is a way to express compassion in the community. By including people with these needs into our company, we're sharing in the challenges of many families in this city. Lower price than what you pay at the market- typical retail price is 83 cents/ cup, Care Cup producers are aiming for 60 - 75 cents per cup. Davidson’s Organic Teas is celebrating 15 successful years as the first entirely organic tea company in the US. The company prides itself on being the first to offer a full line of, organic teas free of controversial GMOs and pesticides at unbeatable prices. Recently awarded a highly coveted NSF certification in food safety supplier audit, Davidson’s continues to pave the way in the organic tea industry for being a model of stewardship, and setting the highest standards of food safety and processing. Davidson’s continues to lead the charge in the tea industry as the only true farm-to-cup tea company in the nation. 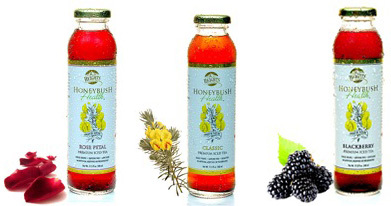 In 1976, Davidson’s began blending teas and bringing its blends to the market, shortly after introducing an organic line, the catalyst to eventually transition the company to an entirely organic production. The first to introduce dessert teas, honey teas and mulling spices to the consumer market, Davidson’s is a proven trend-setter, often seeing every major consumer brand follow suit. This year, it introduced three additional flavors of its organic, fair trade and kosher certified Tulsi Teas to its line of six existing flavors. As the first to introduce the three pillars of the sustainable agricultural movement to Tulsi farming, including organic, kosher and fair trade certified, Davidson’s hopes to share the joys of drinking this Ayurvedic “elixir of life” caffeine-free holy basil tea to the consumer. In June, Patel was appointed to the Nevada Organic Advisory Council thanks to his work and dedication to the Nevada Department of Agriculture’s survey of standards on organics. He plans to leverage his industry expertise to guide the board in promoting organic products within Nevada and help interested companies reach organic certification. Promilla Mohan was raised on the organic tea gardens in the Darjeeling District in India from which Davidson’s sources its products. The third-generation farms were started by her grandfather, an original tea grower in the Darjeeling District and the first to receive organic certifications. 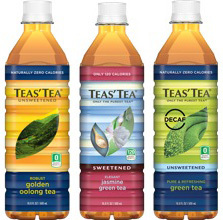 Davidson’s has introduced six new tea flavors in more than five different package formats since the beginning of 2013 and continues to expand. Later this year it also plans to release a complete tea blending kit to the consumer market and to expand its gift item line within the next year. The kit contains more than 12 tea ingredients for an infinite number of tea combinations, and a family-size teapot. In light of recent trends Davidson’s introduced products to the wedding market. Planners are able to choose an assortment of teas, herbs and flowers so guests can build teas at a custom tea bar for wedding favors. It’s this innovation and quality of product, along with diversity of product, which has made Davidson’s a top competitor in the tea industry. Teas are offered in a range of blended or unblended, bagged or loose, straight or flavored, hot or iced, fruity, oolong, cocoa and more. Davidson’s also provides a full private label line for custom tea bags, bulk teas and iced teas. For more information on the Davidson’s story, its gardens, or to purchase teas, visit DavidsonsTea.com. It's no secret that our culture is a little more than coffee obsessed. We want it perfectly brewed, over ice, and in our desserts. Even our kids are into it. Coffee is one beverage most of us can't imagine going without -- not even for a day -- whether it be a short, hot shot of espresso, an iced, cold-brewed glass of coffee or a fancy-schmancy latte. There's a lot of personality in each cup of coffee. A shot of espresso is direct and to the point; a cafe au lait is completely mellow and comforting; and a mocha frappuccino, well, that one's just indulgent and fun. Which coffee drink best represents you? TAKE THE QUIZ at Huffington Post and find out. You might come to find that you've been drinking the wrong kind of coffee drink all these years.